I’ll never forget the day I said the L word in front of my mother. Back when I was living home on Long Island for a few years I was actually getting a weekly farm share from Amish country. It was so incredible. A real food lovers dream. I’d hop online to place my weekly order and at the tip of my fingertips was all sorts of pastured meats, fermented vegetables, kefir, real butter and yogurt, bones, chicken feet, stocks, etc. I’ve never seen anything like it since. However, this way of eating was, let’s just say, different to my family. One week my mother asked me what I was getting in my weekly share and I wasn’t thinking when I uttered the L word. It just slipped out. It was kinda like that scene in A Christmas Story when Ralphie says the F bomb. Time slowed down as the L word was coming out of my mouth. But my mind couldn’t catch up to my mouth. Remember that other scene in A Christmas Story when Ralphie’s mom calls his friend’s mom to tell her that Ralphie learned the F bomb from her son? Remember her reaction? My Mom’s reaction was kinda like that. After she calmed down and stopped accusing me of clogging my arteries, I tried to explain why that was not going to happen. Of course, it fell on deaf ears. Now you may not react as strongly to the idea of eating lard as my mother but chances are, you may have some similar misconceptions and fears about eating lard. It’s not exactly something that your doctor is promoting. But contrary to popular belief, lard is an incredible healthy fat. Let me explain more. 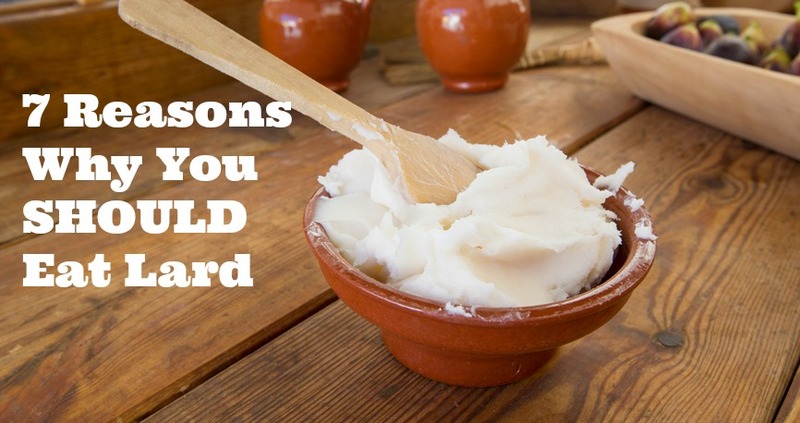 Here’s 7 reasons why you should eat lard. Why You Should Eat Lard Reason #1: Lard is high in vitamin D.
In fact, it’s the second richest dietary source of vitamin D next to cod liver oil. Lard from pastured pigs contains anywhere from 500 – 1000 IU vitamin D per tablespoon based on the pig’s diet and exposure to sunlight. This is why finding lard from pastured pigs is essential (see #5 below). Why You Should Eat Lard Reason #2: It’s heart-healthy from a conventional point of view. The conventional viewpoint says to emphasize monounsaturated fats for heart health. “But isn’t lard an animal fat and thus saturated?” you say. Nope. Lard is actually classified as a monounsaturated fat. It’s true. It’s about 48% monounsaturated fat, 40% saturated fat and 12% polyunsaturated fats. Why You Should Eat Lard Reason #3: It’s heart-healthy from a non-conventional point of view. As you can see from the ratios above, lard also contains saturated fat. And cholesterol. Gasp! Well, contrary to popular belief, heart disease is NOT caused by saturated fat and cholesterol. In fact, saturated fat and cholesterol from healthy sources can PREVENT heart disease. If you want a simple understanding of the underlying cause of heart disease, this heart surgeon explains it well. Why You Should Eat Lard Reason #4: Lard is an excellent fat for cooking. Before we were all conditioned to believe lard is unhealthy, it was used for centuries as a cooking fat because it’s very stable at high heat. Your grandmother probably used it liberally. Unlike more saturated fats like tallow and coconut oil, lard’s combination of monounsaturated and saturated fats makes it a perfect fat for baking as it gives things like pie crusts, cookies, biscuits and pastries a very light, flaky and soft texture. But lard also has a high smoke point too (about 370 degrees Fahrenheit) and is thus excellent for frying as well. Why You Should Eat Lard Reason #5: Lard connects you to local farms. You can’t get good quality lard in stores. You have to seek out a good source of pig fat and render it yourself. Before you roll your eyes about that (though you probably did already), consider #6 and #7 below. And because you have to source it from local farms, lard leaves less of a carbon footprint than more popular cooking fats like coconut oil and olive oil. I don’t know about you but there are no coconut or olive trees where I live. Lots of farmers raising pigs though. Why You Should Eat Lard Reason #6: Lard is economical. I paid $5 for about a pound or two of leaf lard at my local farmers market and rendered that into about 12 ounces of lard. Compare that to a bottle of good quality, first-pressed extra virgin olive oil or coconut oil at your local health food store. 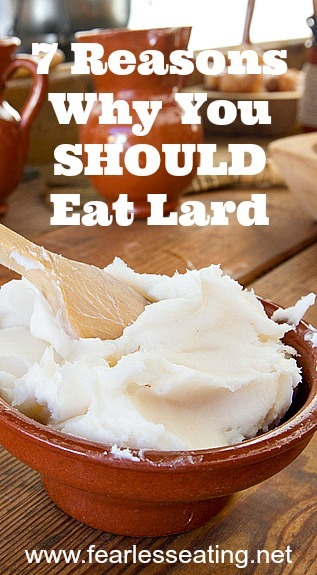 Why You Should Eat Lard Reason #7: Lard is SO EASY to make! You wouldn’t believe how easy it is to make. All you need is some pig fat and a pot. Really, that’s it. Lots of traditional food cookbooks include little tidbits of information on rendering and using lard, but I’ve never seen an entire book devoted just to lard. 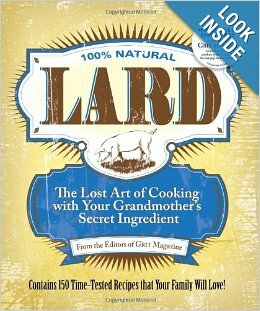 That is until I found, Lard: The Lost Art of Cooking with Your Grandmother’s Secret Ingredient. I was so excited to see this book that I ordered it right away. It’s the only book I could find that’s completely devoted to using lard in all of the recipes. How cool is that?! Just don’t show your doctor (or perhaps, your mother). 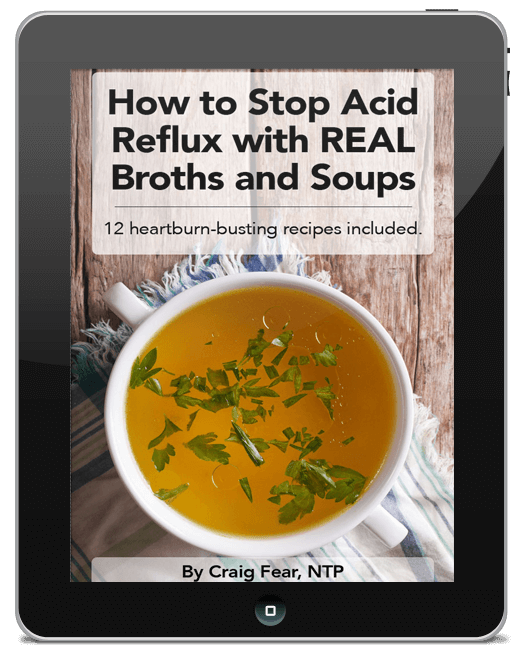 With chapters on breads and biscuits, vegetables, main dishes, cookies and brownies, pies, cakes and desserts, you’ll never need to google “how do I use lard” ever again. You can get read all the five star reviews, read a preview and order it here on Amazon. Are you new to cooking with lard? Is it still a four letter word in your family? Any tips you’d like to share for lard-using newbies?